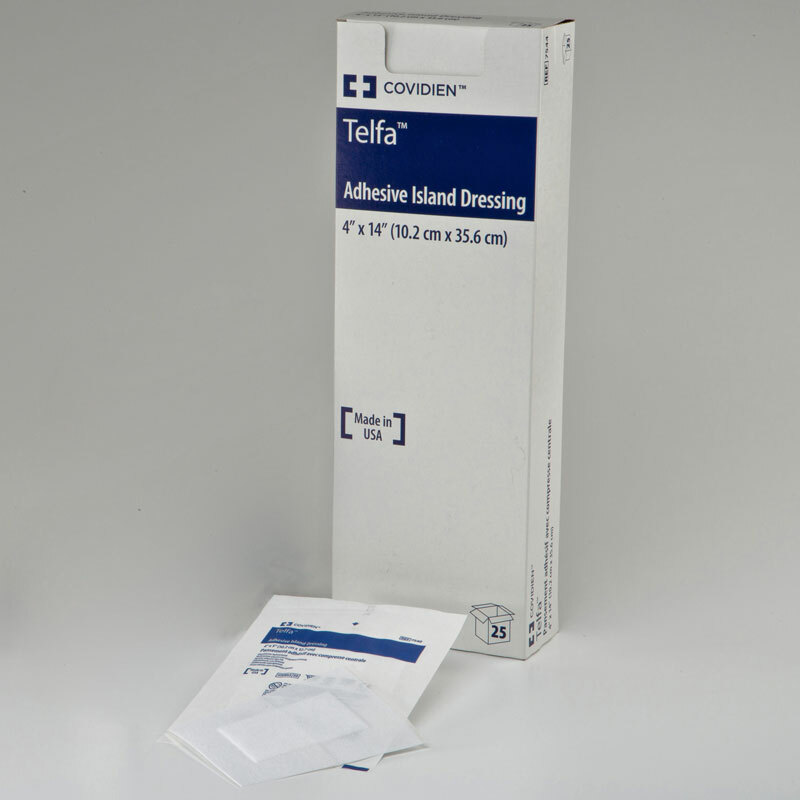 Buy Kendall TELFA Adhesive Island Dressing K7544- 25 per box online! You are buying the Kendall TELFA Adhesive Island Dressing 4x14 25/bx - Model #7544. Kendall is a leading manufacturer of wound care products such as dressings, bandages, gauze, and more. At ADW Diabetes, we do our best to offer the complete product line of Kendall wound care items with discounted pricing.